Apex Legends .... who is playing it? Post subject: Apex Legends .... who is playing it? 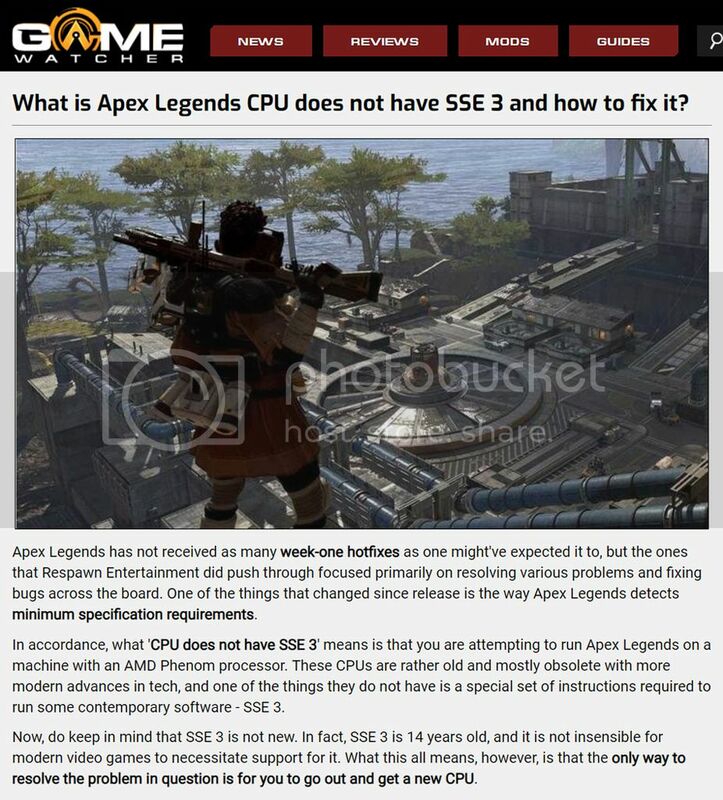 Post subject: Re: Apex Legends .... who is playing it? I am playing Apex on the other hand, and enjoying a quality FREE game too. I'm playing Apex on and off, to take a break from PUBG. PUBG? Have they fixed Oceania queues yet? Gave up on PUBG when it became impossible to play duos on OCE servers. Duos no, but squads do get OCE servers. Playing higher pings on Asian servers is still possible, I for sure had a few chicken dinners there as well despite (or in spite?) a ping of 200 ms. In the evenings you do get Squad OCE servers. Interestingly enough I've seen more blatant cheating on OCE servers than on the Asian servers.